What better way to get toddlers and preschoolers excited about Earth day than with a great Earth Day Play Dough recipe?! This is a fun way for kids to explore what the world looks like, where you live in relation to the rest of the world, and just have a fun sensory and hands-on learning. 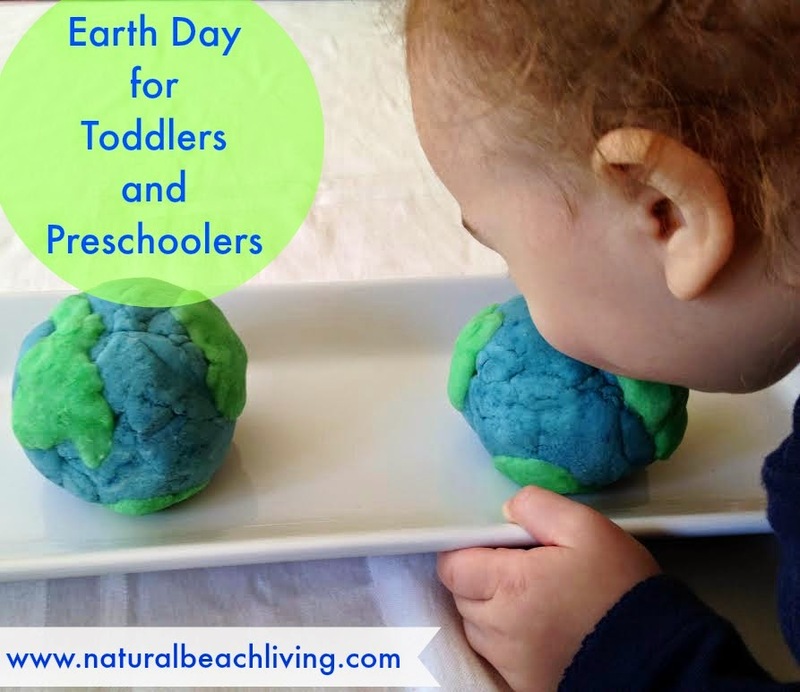 Kimberly from Natural Beach Living has written a great post with a fun Earth Day play dough recipe and I hope you enjoy! I am so happy to be here today talking about something I’m very passionate about. Children and taking care of the Earth. Two of my favorite things. So please join me in some fun with Earth Day play dough! This post contains affiliate links. Thank you for choosing to support us with your purchases. 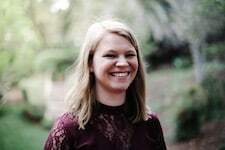 This year I have shared several great activities for Earth Day on my blog, Natural Beach Living. I also know this series has provided many activities as well, so I thought some hands on learning and play for the little’s would be perfect. The thing I love about incorporating play into learning is it really can work for so many ages. So we started with our layers of Earth poster and a couple of fun books. 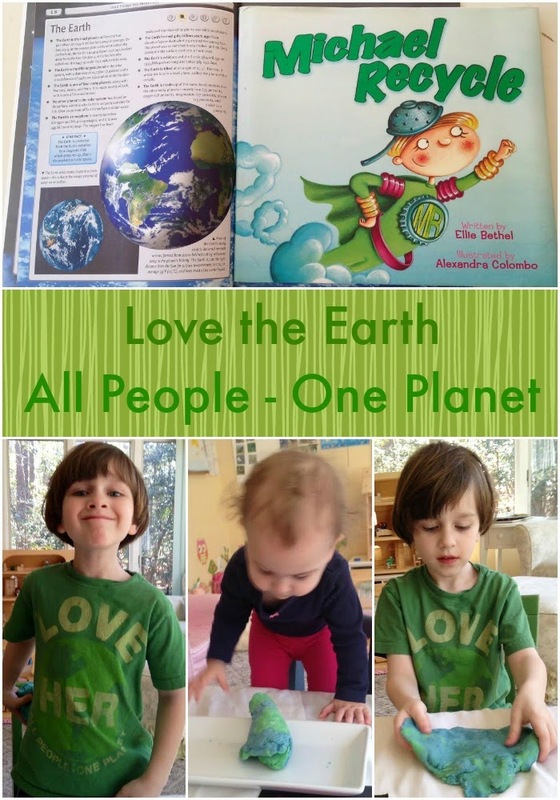 A couple of our favorites for Earth Day and little one’s are Michael Recycle and The Three R’s . This is a great way to help bring awareness to toddlers and preschoolers, aside from of course making them an actual part in recycling and getting them involved. After we did some reading about the Earth we were ready to play. So I made a batch of our play dough recipe and we explored the Earth. I hope you have the chance to make up a batch of Earth Day Play dough. The easy way is to make two separate batches of this recipe, adding green Wilton gel(icing colors) into one batch and blue Wilton gel into the other. To make the dough add all ingredients into a pot over low heat, stirring constantly. When it forms into a ball and isn’t sticking to the sides anymore it is done. This process usually takes approximately five minutes. Let it cool for a few minutes before play. As far as making it into the Earth that is up to you and your children’s ages. 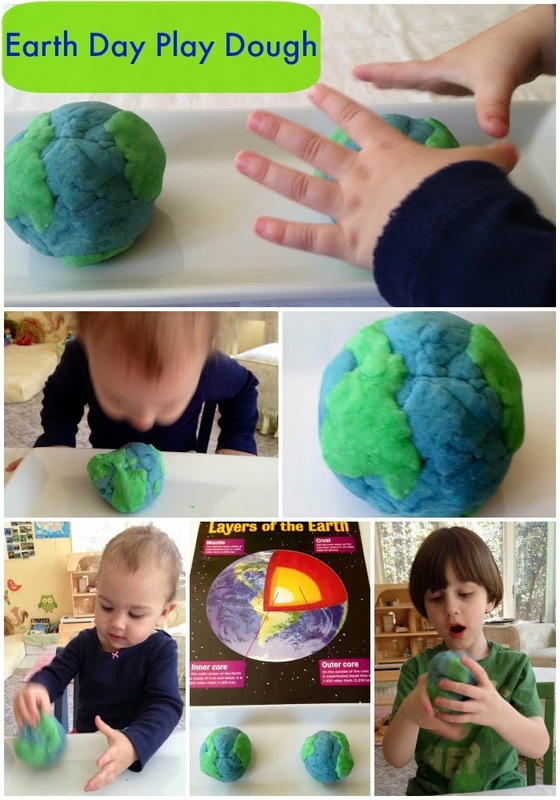 If you have older children maybe they can make their own Earth model with the help of a picture. If you have younger children you can make the Earth up for them ahead of time, so it is ready to be explored. This was such a fun day of learning and play, as everyday should be. Earth Day can be everyday, and the valuable lessons that children learn about the Earth and taking care of it can last a lifetime.